RICHARD W. BRONSTEIN has been in the continuous practice of appraising and selling realty and personal property since 1959. He has conducted several thousand public sales as well as private sales and has sold thousands of parcels of real estate at auction. He is a graduate of the State University of New York at Buffalo, School of Business Administration, and of the Construction and Cost Estimating Program of Erie Community College. His education includes courses in Real Estate Valuation, Property Management, Community Planning, and Business Law at Millard Fillmore College; Real Estate appraisal II at Indiana University; Real Estate Appraisal IV at the University of Connecticut, and Narrative Report Writing for Income Properties at Hofstra University of Missouri at St. Louis. He has successfully written examinations for Course I, II, IV, and VII of the American Institute of Real Estate Appraisers, and various courses of the National Association of Independent Fee Appraisers, and the New York State Appraisal Society. Mr. Bronstein’s memberships include the Buffalo Niagara Association of Realtors, the Niagara Frontier Association of Realtors, New York State Commercial Association of Realtors, the New York State Association of Real Estate Boards, the National Association of Realtors, the Commercial-Investment Division and the Residential Division of the Realtors National Marketing Institute Auctioneers Association, the New York State Auctioneers Association, the American Society of Appraiser, the National Association of Review Appraisers, Greater Buffalo Association of Realtors CID Committee and the New York State CID Committee and holds the Senior Designation of ASA in Urban Properties. 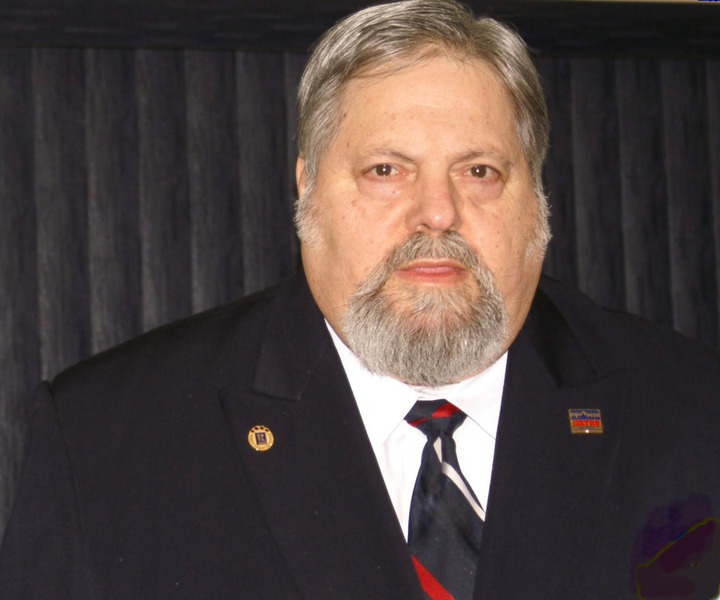 He has served as Chairman of the Education Committee and various other committees of the Buffalo Chapter of Independent Fee Appraisers, as well as Chapter President (three terms), Deputy State Director, and State Director (2 times). He has served on the Appraisal Committee, the Education Committee, Chairman of the Continuing Education Committee, Chairman of the By-Laws Committee and co-chairman of the Library Realtors, He has been approved for the Veterans Administration, and a Certified Appraiser for the Federal Housing Administration, He is an accredited appraiser for the State of New York having successfully accomplished the qualifying examination for the Fee Appraiser given by the Bureau of Rights-of-Way and Claims of the New York State Department of Transportation. He is a licensed Real Estate Broker for the State of New York. He has been awarded the Senior Designation - IFAS - by the National Association of Independent Fee Appraisers, having passed the qualifying examinations given by the organization, and by demonstrating his competence to them. He has served as President and Vice President of the Western New York Chapter of the American Society of Appraiser, and has served as Associate Instructor of the National Association of Independent Fee Appraisers Residential Appraisal Course in the City of Wayne, New Jersey and Instructor in the City of Buffalo, New York. Testimony by Mr. Bronstein has been accepted in and before the County Court of Erie County, Surrogates Court of Erie County , the Supreme Court of the State of New York, and New York State Court of Claims and at various commission hearings. His appraisal experience has included condemnation acquisition appraisal for the Federal, State and Municipal governments, as well as appraisal for the Reuse purposes, financing, insurance, liquidation, damages, estate taxes, realty taxes, transfers, assessment, appeals, and for Federal District Bankruptcy Court purposes,. His clients have included many large corporations, insurance companies, attorney, governmental agencies, and individuals. He is currently President of R. W. Bronstein Corp. and WNY Metro Bronstein Real Estate. He is a Charter Member of the National association of Review Appraiser, and has been awarded the designations or CRA, CREA, CREO and CCRA. Lectures: Buffalo I.F.A. Courses - “Principles of Residential Valuation”, “ Basic Residential Appraisal”, “Appraisal Nomenclature”, Daemen College Appraisal Course- “Capitalization of Income and Use of Gross Rent Multipliers” Daemen College- Greater Buffalo Association of Realtors– “Introduction to Appraisals”, “Architecture and Construction”, “Estimating Value”, Bryant & Stratton, “Approaches to Value”, Atlantic City - I.F.A. National Convention - “ The Implications of Forced Sales as Comparables” ; Fundamentals and their Application to Commercial, Residential and Investment Real Estate Course- “Appraisal of Investment Properties”. Also, Jamestown Board of Realtors - “ Introduction to Appraisals”; Niagara Community College - “Real Estate Property Appraisal”, Lockport, New York and many others. Served as Moderator for the Continuing Education Program Greater Buffalo Board of Realtors and as Coordinator-Lecturer Greater Buffalo Board of Realtors - “Sales Training Course”- Daemen College. Served as Instructor-Lecturer for the I.F.A. accredited Residential Real Estate Appraisal Course of the State University of New York at Buffalo, elected as a Director of the Greater Buffalo Board of Realtors for the three terms of three years each. Qualified appraiser for Investors Mortgage Insurance Company and the Mortgage Guaranty Insurance Corporation. Approved appraiser of Employee Relocation Real Estate Services (ERREAC). Served as local membership representative for the Realtors National Marketing Institute. Attended Realtors National Marketing Institute Course CI-102 (CID-B) “Fundamentals of Real Estate Development” and successfully passed the course examinations. Served as lecturer of the New York State Approved Course “Real Estate Principals” at the State University of New York at Buffalo. Served on the Education Committee and the Steering Committee of New York State Association of Realtors, Inc. Successfully completed Course 101 examination administered by the society of Real Estate Appraiser and R-I Examination. Attended and successfully passed the American Society of Appraisers 32 hours session the “Appraisal of Machinery and Equipment”, completed the Society of Appraisers course “The Principles of Income Property Appraisal”. Served as instructed for I.F.A. accredited Residential Appraisal Course at Genesee Community College and has been the featured speaker for the Buffalo Investors Group as well as for several real estate firms. Attended accredited seminars in “Subdivision Analysis” and “Real Estate Taxation” at Ithaca College sponsored by the New York State Appraisal Society. Attended and successfully completed the “Real Estate Appraisal Review” course sponsored by the National Association of Review Appraisers in Toronto, Canada. Mr. Bronstein has been an active participant in Adult and Continuing Education at several Western New York Schools and has represented the real estate profession and various Career Days. American Society of Appraisers has a program of continuing education and Mr. Bronstein is also recertified under this program through December 6, 2000 and December 6, 2005. Articles by Richard W. Bronstein have appeared in the “Northeastern Public Auction Bulletin”, “Appraisal Review”, “Buffalo Courier Express”, “The Buffalo News”, “Auction World”, “Metro Community News”, “New York State Real Estate Journal”, “The Auctioneer”, and the “Empire State Realtor”. Mr. Bronstein and his firm have actively supported numerous charitable causes donating services to such organizations as the Kidney Foundation, the National Association for Prevention of Childhood Cancer, Roswell Park Cancer Research Center, Penny Burchfield Art, Studio Arena, The Lions Club, Ronald McDonald House, Calasantious School, Bnai Brith, the Knights of Pythias, the Masons, People Inc., the March of Dimes, Ducks Unlimited, Canisius High School, Canisius College, St. Joseph’s Collegiate Institute, Hillel Foundation, Rotary Club, The Food Bank, The Arthritis Foundation, The Boys and Girls Clubs of Niagara County, The Boys and Girls Club of Erie County, numerous churches, schools, foundations and social organizations. Attended National Institute of Real Estate Brokers Course CID-A “Fundamentals of Real Estate Investment and Taxation” and participated in NYSAR Education Committee. Mr. Bronstein is a New York State Certified General Real Estate Appraiser and a New York State Qualified Instructor for Residential Appraisal Courses and General Real Estate Appraisal Courses. Served three terms as director of WNY METRO Real Estate Brokers. New York State Certified General Real Estate Appraiser #46-217 certified through November 2015 having passed qualifying examination and attended sufficient education and continuing education courses.